We Love Helping People Out! We've been able to help out a variety of clients to achieve their professional goals through our technical expertise. There's no technical challenge that we'll shy away from, and we thrive on pushing the boundaries of what's possible with technology. Whether you're looking to clean up your website and develop a stronger presence online, or implement a fully featured web application customized to your specific business needs, we can help you. 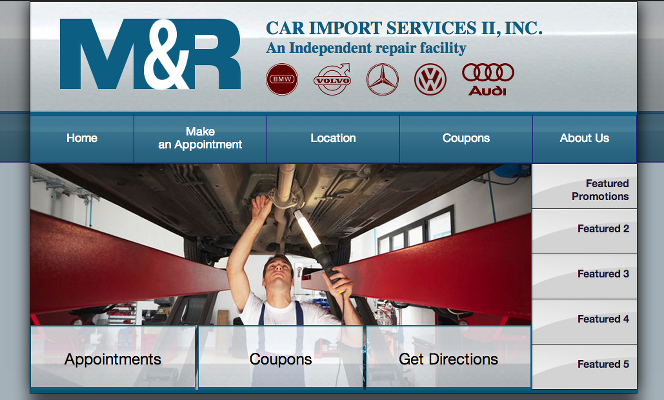 We worked with M & R Car Imports to redesign their website in order to help them establish a stronger online presence. In addition to a slew of cosmetic improvements, we were able to help reorganize the site in order to provide customers with the simplest and most helpful website experience possible. 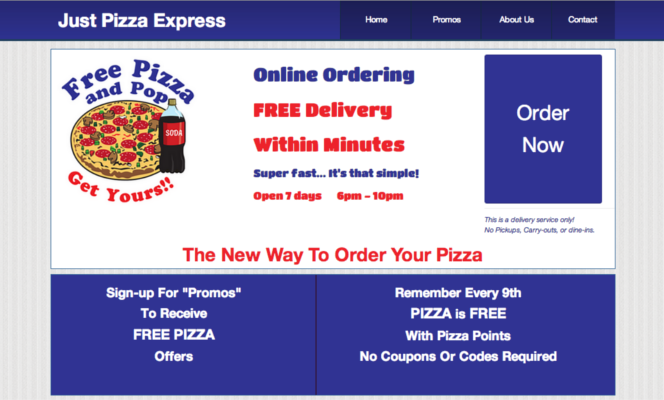 Our client approached us with a novel idea that would allow customers to order a pizza and have it delivered within fifteen minutes. To achieve this goal, a website with some specialized features would be critical. 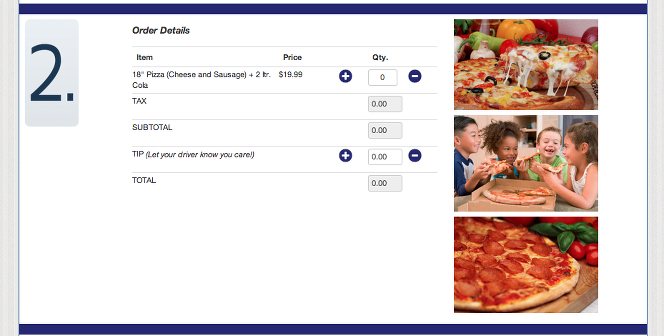 We were able to provide a solution that automated the order process, and assigned the order to the nearest driver in order to ensure that the pizza was deliered as quickly as possible. We implemented a customized management interface for the client as well, so that the client could monitor and update the status of various orders and deliveries in real-time. Chicago Author James Kennedy needed a fun and colorful to match his fantastically quirky book, The Order of Odd-Fish. We were able to develop a fully customized Wordpress template that allowed the author to showcase his work, and connect with his fanbase. 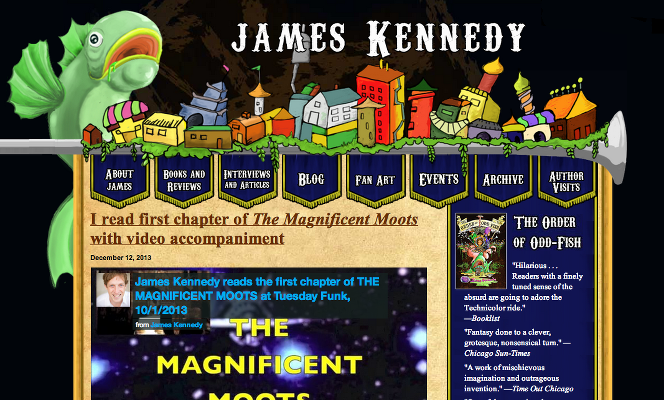 Using the Wordpress content management system (CMS) James Kennedy is able to continue to add updates and new content to the site independently, giving him a true power and ownership over his online presence. We were able to provide Mr. Kennedy with some guidance on the use and maintenance of this powerful CMS, and he's been able to continue updating the website with exciting new content to this day. Gallery section for fan created artwork, costumes, and edibles!